Poll: What are your top three caravanning accessories? When you own a caravan you also need an array of caravanning accessories to keep your vehicle safe and secure and to make your holidays that bit more comfortable, enjoyable and fun. Every caravanner is going to have at least three must-have accessories they simply cannot tour without. We’ve pulled together a list of caravanning accessories and in this month’s community poll, we’d like know your top three – which you must take on every trip. We’ve taken out those essential pieces of kit which you legally need, such as towing mirrors and breakaway cable, as well as security necessities such as hitchlock and wheel lock/clamp. What are your top three caravanning accessories?? Do you have any other caravanning must-haves that we’ve missed off the list? If so, simply add it to the “Other” box or share it with everyone in the comments section below. 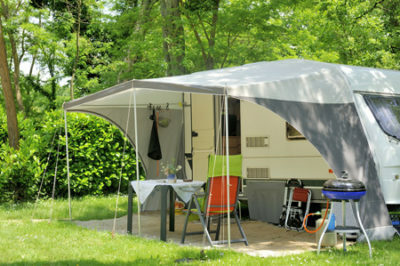 We’d also love to hear any comments or caravan accessory must-have stories you want to share too. We’ll report back the poll results in May. Not sure about the list, because a tow car is a realistic must and mirrors are a legal must otherwise caravanning is not possible. Therefore, excluding these two, I would think an aqua roll, sat nav/smart phone and steps are a must (as far as 3 items are concerned). Tow car has been added by a voter. Yes i agree silly poll you need a tow car and mirrors are a legal requirement . And of corse you need steps to get in . Sorry point less poll . The list isn’t well thought through… You said you’d left out mirrors as they’re a legal requirement and then they’re left in. And you can’t go far with a caravan without a tow car which is also in the list. It reminds me a bit of the ‘Radio Norwich’ your ‘favourite parts of central heating’ type of poll. Tow car has been added by one of the voters. Been caravaning for years, and love your tips and up dates, all round. A rather silly poll I thought. Things like mirrors are a legal requirement and how are you going to get in the caravan without a step! Surely you can come up with something better than this? Sorry you think it’s a silly poll David. It was difficult to ignore many of the essentials. there are several more essentials I would not leave at home,aquaroll,sparewheel and jack,and caravan toolkit. A must have for me, is a Full time rear view camera, like the ones fitted on motorhomes. Such a bonus to knowing what is happening directly behind the caravan , when travelling, just wish manufacturers would fit as standard. I have fitted my own, linked to screen in car, wouldn,t be without it.